The kanji that hangs on the shomen at Akido Olympia is Kokoro. Kokoro means heart! 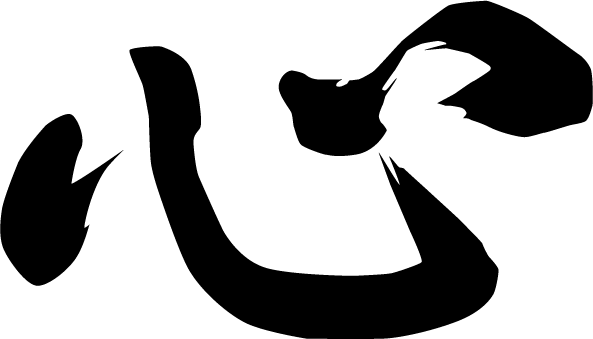 but not just the internal organ of a heart (though it can mean that too, and if you look at it, it looks like a heart but usually when used this way the kanji is called “shin”). Native Japanese speakers tell us that kokoro is well understood in Japanese, but that it’s very difficult to translate in English. As Aikidoka we have a bit of an advantage in understanding this because it aligns with our concept of integrating mind, body, and spirit (which we learn are not different things) as whole human beings. As we move into the holiday season, we hear a lot about opening our hearts, giving of ourselves, and love. These are aspects of kokoro and aspects of Aikido that should apply at all times, but we can certainly use this time of year, and the many opportunities it brings, to learn more about how we have integrated our mind, body, and spirit as we spend time in our community and with our families.